Questions to Ask References - Merrill Contracting & Remodeling, Inc. Here is a list of questions you might want to consider asking a prospective remodeler’s past clients. Ask them all or select the ones you feel are most important to you. 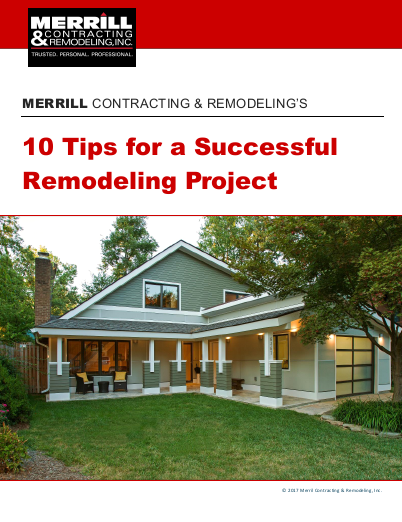 Also see our tips How to Select a Remodeling Contractor and Establishing Your Home Remodeling Priorities. What was the nature of the project the remodeler did for you? What made you select them? Was it your first time remodeling? If not, how did this project and experience compare to your other remodeling projects? Do you have any relationship to the remodeler other than as homeowner/remodeler? Were there any additional costs after the final contract price was established not caused by you making a change to the project? Were the additional costs approved in advance or did they come as surprises? Did you feel the extra costs were fairly handled? Did the field crew and any subcontractors keep the work area and your home as neat, clean, and safe as you thought they should have? How would you rate your satisfaction with the remodeler? Their staff? Their subcontractors? The way they resolved problems? How satisfied were you with the results? How satisfied were you with the process? How satisfied were you with the experience? Was communicating with the sales, design, field and office staff easy or difficult? If so, in what ways? Did you feel the remodeler listened well and understood what you were looking for? Do you feel you got what you wanted? Was the work and service as good as the remodeler led you to believe it would be? Were you kept informed about the schedule and what was going to happen when? Would you use the remodeler again? Would you recommend the remodeler to your best friends? Have you sent others to the remodeler and were they happy with the results?